The BHM Snap-in allows monitoring multiple BizTalk environments from a single MMC. When you register BHM on a BizTalk server, by default it will add one “group” node representing the current BizTalk group. You can, however, add additional nodes corresponding to different BizTalk groups by specifying its name, the location and name of its Management database and the output folder. 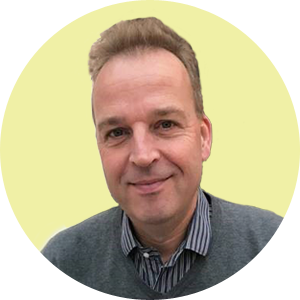 Each group node will have its own customized settings in terms of the level of information to collect, its level of information to display, its type of notifications to enable and its type of performance data to collect. Once BHM is installed on the server where BizTalk360 is running, the administrator needs to configure the integration with BizTalk360. To be able to monitor the output of BHM runs in BizTalk360, you need to have BHM configured in the Settings screen. 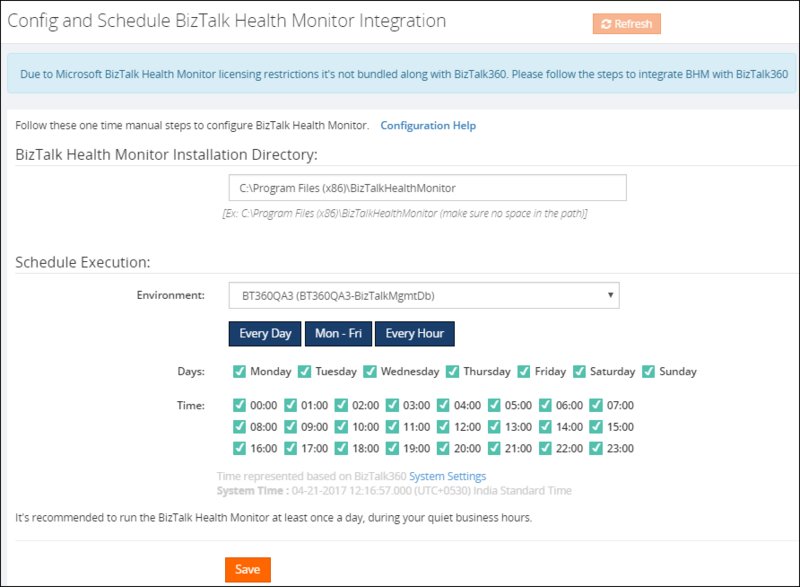 BizTalk Health Monitor, which just has been installed on the BizTalk360 server, needs to be configured in BizTalk360. Further a schedule must be set up, to run BHM twice per business day; at 9:00 AM and at 6:00 PM. This issue mainly happens on a 64-bit machine. When you accept the EULA displayed by BHM, it writes the acceptance setting in the 64 bit registry hive. But BizTalk360 is 32-bit due to restrictions imposed by dependency objects like ExplorerOM, hence it always looks at the 32-bit hive (WoW64 in a 64 bit machine). To fix this issue, please create following entry in the registry. You can create the above keys by opening regedit.exe ("Run as Administrator").